John performed on Show 252, recorded in April 2012, at age 17. John Burton (trumpet), 17, hails from Cleveland, Tennessee and attends Walker Valley High School. 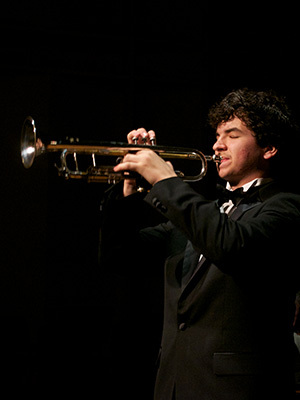 He studies with Tina Erickson and is principal trumpet in the Chattanooga Symphony Youth Orchestra as well as the Chattanooga Symphony Youth Brass Quintet. 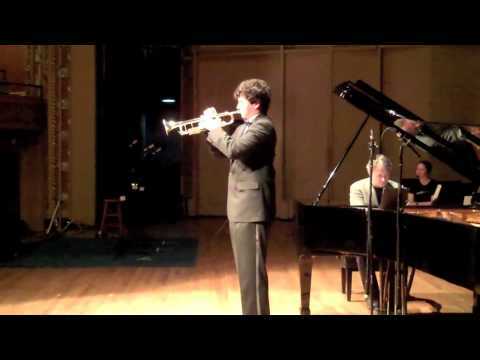 John placed as a semi-finalist in the National Trumpet Competition and was a winner in last year’s Chattanooga Symphony Orchestra Youth Concerto Competition. John has many odd talents, which include unicycling, juggling, and entertaining with the yo-yo.